My friend Dan Rockmore has a new book out, entitled Stalking the Riemann Hypothesis, which is quite good. Dan had the misfortune of starting work on this book at the same time as several other people had the idea of a popular book about the Riemann Hypothesis. For better or worse, his has appeared after the others, which came out last year. In solidarity with him, I haven’t read the others, so can’t directly compare his to theirs. Dan’s book begins with a mixture of history and explanations of the math involved. In the sections having to do with more recent work, he concentrates on one particular approach to proving the Riemann hypothesis, an approach that has interesting relations to physics. This involves an idea that goes back to Hilbert and Polya, that one should look for a quantum mechanical system whose Hamiltonian has eigenvalues given by the Riemann zeta-function zeros. Self-adjointness of the Hamiltonian then corresponds to the Riemann Hypothesis. This conjecture has motivated a lot of the research that Dan describes in detail, including relations to random matrix theory, quantization of chaotic dynamical systems, and much else. Philosophically, I’m very fond of the idea that quantum mechanics is basically representation theory, and that the way to produce interesting quantum mechanical systems is by using geometric constructions of representations using cohomological or K-theoretic methods. While I’m no expert on the Riemann Hypothesis, my favorite idea about it is that proving it will require a mixture of the Hilbert-Polya search for a quantum mechanical system, together with the cohomological approach that worked in the case of function fields. In that case, the Weil conjectures famously were based on the idea of constructing an appropriate cohomology theory. 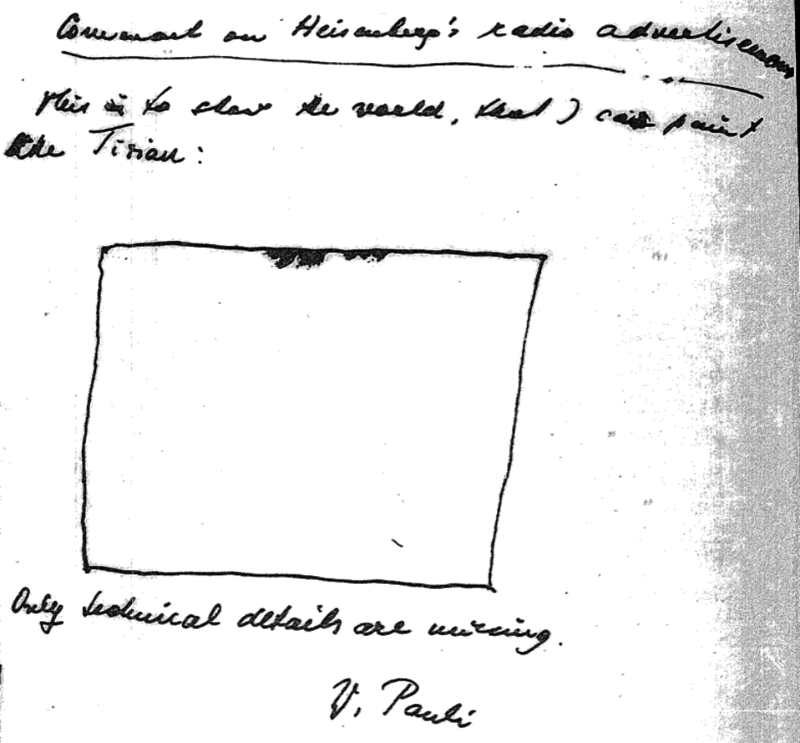 This was carried through by Grothendieck and others during the fifties and sixties, with Deligne finally using this technique to get a proof in the early seventies. For the number field case, the most developed conjecture that I know of about what might be the right sort of cohomology theory is due to Christopher Deninger. He has a very interesting recent review article about this, see also his lecture at the 1998 ICM. Update: For another nice discussion of zeta-functions and the Riemann Hypothesis, see John Baez’s latest This Week’s Finds. Update: There’s a nice article in the Washington Post about Dan and his book. I’m not sure exactly what Dan meant by “ill-defined” in this case. The Clay problem is trying to ask for a big breakthrough in what one can rigorously say about the solutions of Navier-Stokes, but since this is hard to define, they give four examples of specific theorems whose proof would count. I have looked recently at the de Branges paper. The first version had some intriguing mentions of quantum mechanics and listed Weyl’s Group theory and quantum mechanics book as a reference (although the reference didn’t correspond to anything in the text). These have been removed, but the rest of the paper looks much the same, although I don’t have the old version to compare to. About De Branges proof….you say you tried to read it. Have you read it recently? it seems to be dated April 2005. Peter, you friend says on that post article that navier-stokes is “ill defined”. What exactly does he mean by that? Since Riemann Zeta is perhaps the most fundamental function of the complex analysis, it would not be too surprising if conformal invariance would be involved with the proof of Riemann hypothesis. t-s with eigenvalue given by λ=-s. For integration measure dt one obtains a counterpart of plane wave basis by assuming the complex conformal weight to be s= 1/2+iy implied by Riemann hypothesis. This easy to see by taking u=log(t) so that inner product transforms to an inner product of plane waves exp(iy1u) and exp(-iy2u). Zeros and also linear combinations of zeros of zeta with integer coefficients would define conformal weights for a discrete basis of a Hilbert space. If the real part of the conformal weight differs from 1/2, the functions in question diverge exponentially at the limit when u goes to +∞ or -∞. Obviously Riemann hypothesis is very natural in this context. My own proposal for the strategy of proving Riemann hypothesis is however based on the idea that Riemann zeta at line Re[s]=1 defines an inner product for eigen functions of a modified operator L0 representing non-Hermitian operator analogous to an annihilation operator and having zeros of zeta as its complex eigen values. These functions define a generalization of coherent state basis rather than that of an orthogonal state basis as in the case of Hilbert-Polya conjecture. This means that their inner products are non-vanishing and proportional to the values zeta (z1+z2*) and thus proportional to zeta(1+i(y1-y2)) for the eigen values at critical line (note that zeta diverges at s=1 but this is actually not a problem). Riemann hypothesis guarantees the orthogonality of states with conformal weights s=1/2+iy to a negative norm state having a vanishing conformal weight s=0. This condition would exclude non-critical complex zeros and I have proposed a reductio ad absurdum argument for a proof of Riemann hypothesis in the article Pitkänen (2003), A Strategy for Proving Riemann Hypothesis, Acta Math. Univ. Comeniae, vol. 72. The complex conformal weights appearing as linear combinations of imaginary parts of non-trivial zeros of zeta have a key role in TGD. Since physical states must have real conformal weights this gives rise to conformal confinement forcing many particle systems to behave like single quantum coherent units. There are physical motivations for the proposal that dark matter corresponds to a conformally confined quantum coherent phase in which ordinary particles have complex conformal weight. The gluonic color glass condensate observed in RHIC behaving like liquid rather than quark gluon plasma and having black hole like properties could be one instance of this phase associated with a highly tangled color magnetic flux tube in Hagedorn temperature defining the hadronic analog of black hole with effective gravitational constant corresponding to hadronic length instead of Planck length. I just emailed him about Week 216. He is still working on it, which is why it isn’t linked yet as the latest edition. Interesting stuff from Baez both in week216 and in week215. He loves to look at the big picture. Hope he keeps writing on this subject. A bit like string theory, no? Not very much, actually. Each of the many ideas floating around about the Riemann Hypothesis is being pursued by a small number of people, which is a quite healthy situation. In particle theory, one speculative idea (string theory) is being pursued by thousands of physicists, and it remains very difficult to get a job doing mathematically based particle theory research unless you are willing to do string theory. And if any speculative idea about the RH had failed as miserably as string theory unification has, it would have been long ago abandoned by everyone involved. 1/ For mathematically literate readers (e.g. nearly all of the readers of this blog), the best introduction to the Riemann Hypothesis is the book “Riemann’s Zeta Function” by H. M. Edwards. Very readable, although you can’t zip through it like a novel. And it’s a Dover paperback so it’s cheep. 2/ The approach Peter mentions is promising, but a lot of smart people have been pursuing it for quite a while without success. A bit like string theory, no? Maybe physicists will have to learn to be as patient as mathematicians. Why cast aspersions, Tony? De Branges’ paper is there for everyone to see. Download it, and see for yourself if the proof is valid. One of deBranges’ former PhD students (Li) immediately posted a paper on the arXiv indicating an error in deBranges’ argument. D. Jerison at MIT read de Branges’ paper carefully after his announcement, and if I remember correctly gave a seminar talk about it. The subsequent lack of interest in the paper has to do with the contents of the paper and de Branges’ failure to address or acknowledge the criticisms, not any particular prejudice of “Western” mathematicians (Li is Chinese, and Jerison an American, by the way). There are certainly people who work publically or privately on the Riemann hypothesis, such as Sarnak, Connes, Cohen, Deninger, not to mention pretty much the entire analytic number theory community. The people other than deBranges who do this, generally manage to remain credible over the years. Rockmore’s book tries too hard to avoid formulas, in my opinion, and is interesting (though not necessarily to the general public) mainly for the academic gossip therein. The situation of Wiles and deBranges is quite different. First of all, the math community didn’t work as a team to fix Wiles’ proof. He fixed it himself (with some help from his ex-student Richard Taylor, after a team of referees went over the manuscript, and one found the initial error). People would have taken any purported proof of Fermat by Wiles seriously, the fact that he was proving Taniyama-Shimura-Weil just made it more interesting. The significance of Taniyama-Shimura-Weil is that it is part of the “Langlands Conjectures”. These are not a fad like string theory, many of them have been rigorously proved, and they give results about number theory that are accessible no other way (e.g. why Fermat is true). They are a set of very deep structural insights into how number fields behave, and there are a huge number of concrete, rigrorous results to back that statement up. Dan’s book doesn’t have much at all about deBranges, from what I remember it is one of the others that has quite a bit about him, from a sympathetic point of view. Have you looked at de Branges’s manuscript? I can’t speak for why others haven’t made a major effort to understand it, but I tried and I can tell you why I gave up. I found it completely impossible to follow. The manuscript is not written in anything like a standard mathematical form, with the structure of the argument outlined, together with a proof of each step. From the main manuscript itself, you can’t even tell that there is supposed to be a proof of the RH in there. His separate document (“Apology….”) has more of an explanation of what he is doing. Maybe if you spent a lot of time trying to read that first, you might have a fighting chance of figuring out what argument he is trying to make. The case of Wiles is very different. His argument was laid out completely clearly and explicitly, so that anyone who was familiar with the technical tools he used could easily follow what he was doing. And if you weren’t familiar with the technical tools, it was explicit what they were, and you could go out and read up on them elsewhere. I have some sympathy for the idea that de Branges may actually have a proof, or enough of a good idea about one that maybe his ideas could be used to produce a proof. But he hasn’t written up what he has in a way that others can understand, unless they are willing to do a huge amount of work to decipher what he is trying to say. There are already various reasons for people to be skeptical about whether he has a proof, and the combination of this with the fact that his manuscript is nearly impossible to follow is what explains the situation here, not any prejudice about Purdue or anything else. When I compare the Riemann Hypothesis efforts of de Branges with the Fermat efforts of Wiles, a question arises, and I wonder whether it is dealt with in the book by Rockmore. According to a PBS interview at http://www.pbs.org/wgbh/nova/proof/wiles.html Wiles said: “… at the end of the summer of 1986 … this friend told me that Ken Ribet had proved a link between Taniyama-Shimura and Fermat’s Last Theorem. … I knew that … to prove Fermat’s Last Theorem all I had to do was to prove the Taniyama-Shimura conjecture. It meant that my childhood dream was now a respectable thing to work on. … in late May  … Then I told …. [my wife]… I’d solved Fermat’s Last Theorem. … I’d missed … an error … completely …”. The Nova interviewer said: “… Eventually, after a year of work, and after inviting the Cambridge mathematician Richard Taylor to work with you on the error, you managed to repair the proof. …”. In a June 10, 2004, blog post at http://www.math.columbia.edu/~woit/blog/archives/2004_06.html Peter said: “… Louis de Branges is a mathematician at Purdue who has had a long history of claiming proofs of the Riemann hypothesis. … de Branges has a checkered history as a mathematician, with several of his claimed proofs of the Riemann hypothesis and other problems turning out to be incorrect. On the other hand, he did produce a correct proof of one well-known problem, the Bieberbach Conjecture. In that case … after he explained his ideas to a group of Russian mathematicians … it became clear that de Branges really did have a proof. It looks like this one may also take some major effort to see what he really has. …”. S. W. Graham says: “… The conventional wisdom is that de Branges’ approach will not work …”. Why was Wiles’s erroneous proof treated sympathetically by the math community, leading it to work as a team to correct the proof, while de Branges’s erroneous proof is treated by the math community with hostile skepticism ? Is it because Wiles was hanging his hat on the fashionable Taniyama-Shimura conjecture ? If so, then another question is to what extent fashion (and social construction a la superstring theory) is a driving force in the mathematics community. Is it because Wiles was at Cambridge while de Branges is at less-prestigious Purdue ? Is it because the mathematics community somewhat resents de Branges because his Bierberbach work showed, with the help of USSR mathematicians, that skepticism of the Western mathematics community is fallible ? Since the USSR is gone now, is there really any somewhat independent (of the West) mathematics community that might work on approaches that are ignored by the Western mathematics community ? In other words, why does the Western mathematics community not undertake a “… major effort to see what he [de Branges] really has …”. ?